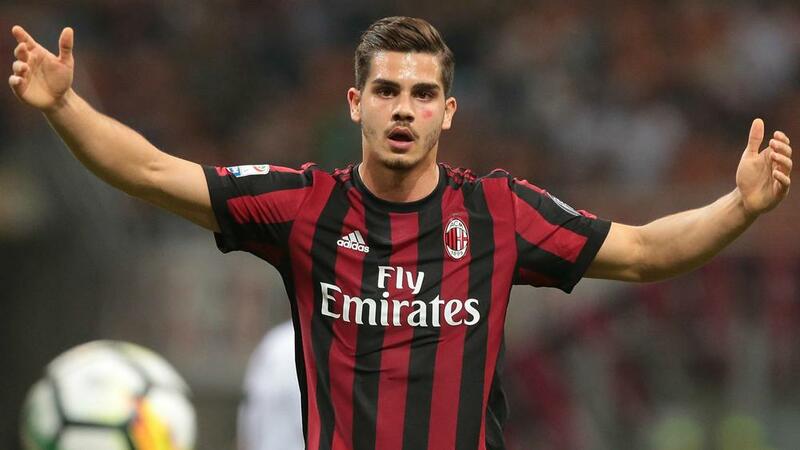 Andre Silva would not rule out the possibility of returning to AC Milan if he were guaranteed regular game time. The Portugal striker made the switch to San Siro in June 2017 but managed just two goals in 24 Serie A appearances in his debut campaign. Silva was subsequently sent on loan to Sevilla, who have a purchase option as part of the deal, last July and he has netted nine times in 22 LaLiga outings. Sevilla's sporting director Joaquin Caparros said in November that the club plan to make Silva's move permanent. But Silva may yet still have a future with the Rossoneri. "I want to do well in Sevilla and wait," he told La Gazzetta dello Sport. "If I had to choose, I'd play in the best team in the world, but I want to play and if I have to choose between Sevilla and AC Milan without playing any games, my choice is pretty simple. "I am between two different situations. I am here but I am a player of AC Milan too. I don't think about it because I don't want any distractions. "The Rossoneri are following me, they send me messages to tell me that I am doing well." Milan have found some form in recent weeks and a six-match unbeaten league run has left Gennaro Gattuso's side in fourth place after 23 games. And Silva is glad to see Milan on an upward trajectory. "I am happy because they are doing well. They are fourth in the table now and that's their main target," he added. "I hope they continue. They can return to the top of European football even if they are not the same team they used to be."